Description:	Gross pathology of heart showing mitral stenosis. 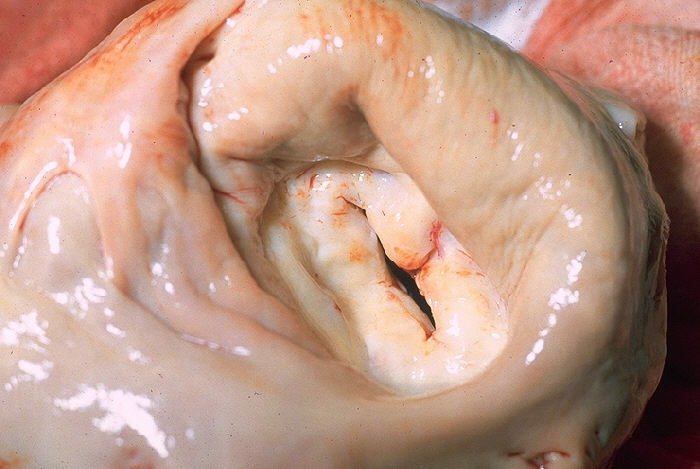 Left atrium has been opened to show thickened mitral valve leaflets from above. Autopsy. Content Providers(s):	CDC/Dr. Edwin P. Ewing, Jr.